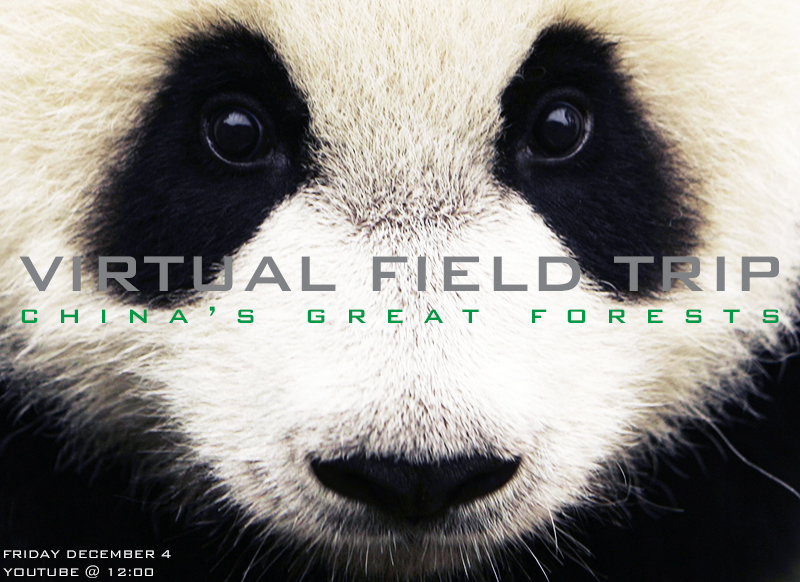 Live on youtube Friday, December 4th at 12:00 pm (Eastern Time, 40 minutes), your class can explore China's Great Forests! Students (grades 3-8) investigate what the giant panda and earth's climate have in common as they learn about the carbon cycle and compare/contrast reforestation and deforestation. If you cannot "attend" the event live, you can sign up for the virtual field and will be notified as soon as the video is available. Then you can show your students when ever convenient for your lesson plans and school schedules! 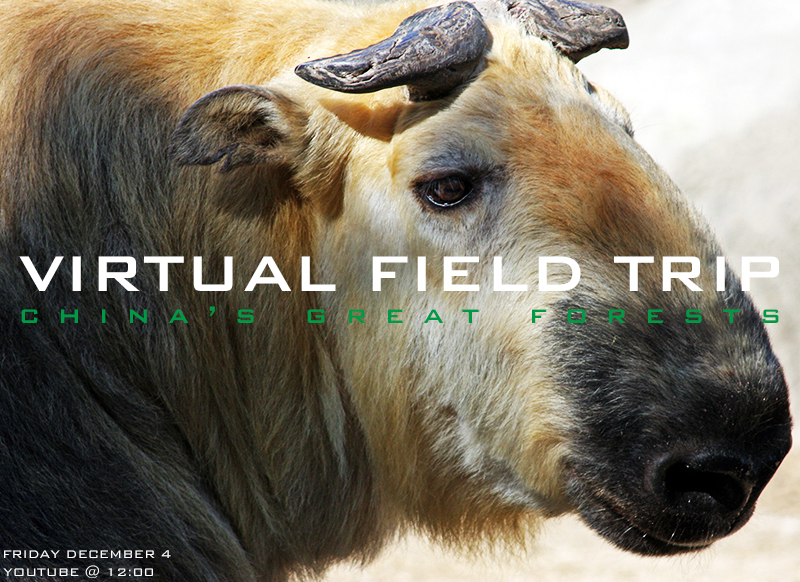 This field trip fits in with a unit on adaptations, ecosystems, natural resources and geography. Students view live footage of 2 provinces in China—Sichuan and Yunnan, traveling up "towering mountains, majestic forests and other iconic landscapes." 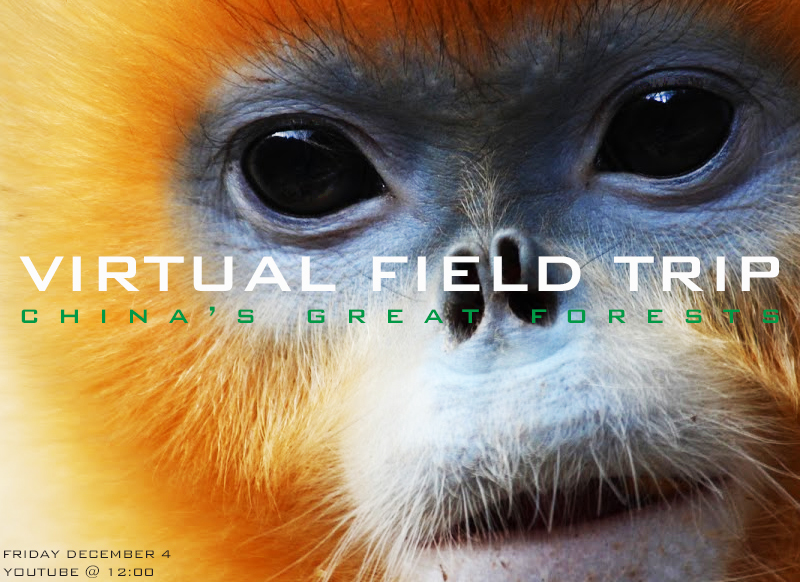 While examining the geography of these provinces, students learn about the other animal species that share the same ecosystem as the giant panda: golden snub-nosed monkeys, and the elusive and odd-looking takin. They find out that in a particular habitat some organisms can survive well, some survive less well, and some cannot survive at all. They also get to see how scientists work with local communities to protect nature and create new wilderness. They discover the benefits of reforestation and how it can decrease carbon dioxide and greenhouse gases in the atmosphere, minimizing climate change and improving air quality. You can challenge your class to evaluate competing design solutions for maintaining biodiversity in an ecosystem! Conservationists: Forests are home to many species of plants and animals. Logger: My job is to cut down trees and without this job I cannot provide for my family. Pharmacist: Many medicines come from our forests and many are yet to be discovered. Farmer: I clear away land by burning a few acres of trees to grow crops for my family to eat. Environmentalist: Forests help moderate climate change by taking in carbon dioxide during the day. Too much carbon dioxide leads to an increase in greenhouse gases, which causes changes in our climate. Restaurant owner: I need paper and meat products to meet my customers’ demands.